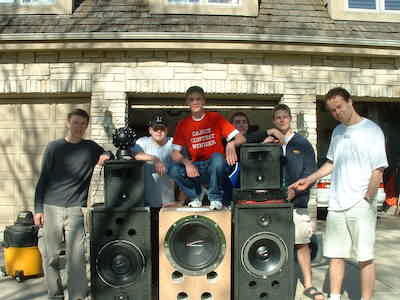 My friends and I built speaker cabinets in high school. We started small, accidentally cutting through a chair the first time we made one, at my friend Dan's house. From these humble beginnings, we got better, moving from crooked edges done with hand saws, to carpeted, precision-cut enclosures done on table saws, with high-end drivers and Speakon NL2s on the back. By the time we graduated, we were starting to get commissions, people coming to us to get high-end audio systems installed in their cars; I really enjoyed this. Things didn't always go well, though; we did have a few "accidents". Nobody was ever seriously hurt, but it made for a few good stories; this particular tale starts on my parents' porch, in the summer, I think 2002. Brian had come over. We were on the porch trying to measure and cut a piece of wood, probably something for a speaker. 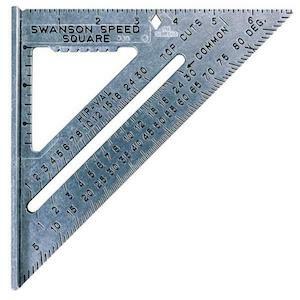 I'd gotten my dad's tape measure and marked off the spot 12, 14, some number of inches down the board, on both sides. I needed to cut from one mark to the other, with a hand saw; I considered freehanding it (I was in a hurry), but decided against it, and ran downstairs to find a try-square, so I could draw a line from one side of the board, to the other. 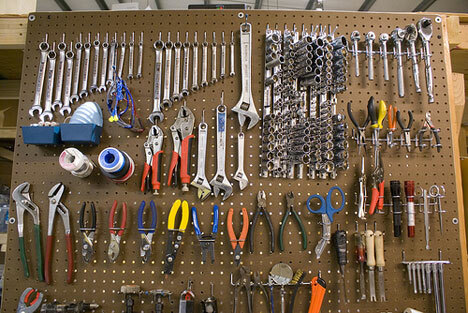 I knew it was somewhere on the pegboard, where my dad kept the rest of his tools. I reached for the try-square, knocking the quick-square off the hook; this is where the trouble started (like I said, I was in a hurry). Try-square in hand, I watched the quick-square fall, bouncing off my dad's workbench, glancing a mostly-full spraypaint can, hitting it just hard enough to knock it over the edge of the bench, while the quick square bounced upward. Now, this would've all been fine, except that by a freak turn of events, the quick-square bounced, spinning, only to fall to the ground and hit the spraypaint can corner down, hitting it at just the right angle to rupture it. 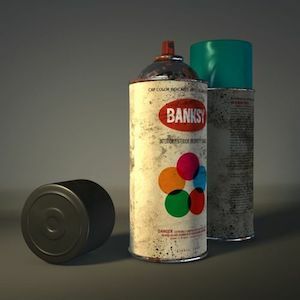 I heard a hissing sound as the aerosol propellant shot out from the can, and noticed a huge white puddle forming on the floor, as the paint leaked from the can and pooled on the floor. Annoyed, I reached to pick up the can; smelling the propellant, I realized I needed to ventilate the area. I climbed on my dad's bench to open the window, when suddenly, the propellant—an entire can's worth—had saturated the room, reached the furnace pilot light, and ignited, exploding into a six-foot high fireball that engulfed the entire room in flame. The ensuing fireball knocked me from the bench, its expanding gases and heat throwing me off my feet, its smoke choking me. Surprised—but not afraid—I ran upstairs, pushed my family, who'd heard the explosion, aside, and reached into the food pantry where my parents had kept a fire extinguisher as long as I could remember (10+ years in the same spot). I yanked the pin, aimed, and emptied the entire class-A extinguisher onto a few small flames the explosion had caused, incuding one burning through a small, white rug. I was sitting on the porch when seven fire trucks arrived; I remembered seeing them, and laughing at the magnitude of their response to a small house fire. The ambulance gave me oxygen, as I was having trouble breathing, having inhaled a bunch of smoke; that was the worst part, I was still coughing at least half an hour after the explosion. Whenever I tell this story, people ask me what I learned, or what I'd have done differently. The answer is really not that much. I shouldn't have been in a hurry. A lot of people were impressed I had the presence of mind to grab a fire extinguisher and put out the blaze, but credit for that goes to my dad, the guy who insisted on putting a fire extinguisher in the pantry, where I saw it every day, behind the pop tarts and breakfast cereal. It turns out there was one in the basement, closer to the fire, but I didn't know to look there for it. The real takeaway for me from this incident has always been that freak, unpredictable accidents happen, stuff you'll never expect. So just be prepared, always keep a fire extinguisher in your house, and try not to be in a hurry. I really can't add much, beyond that.